Isabella and Tortuga Bay closes out 2016 with a boom! 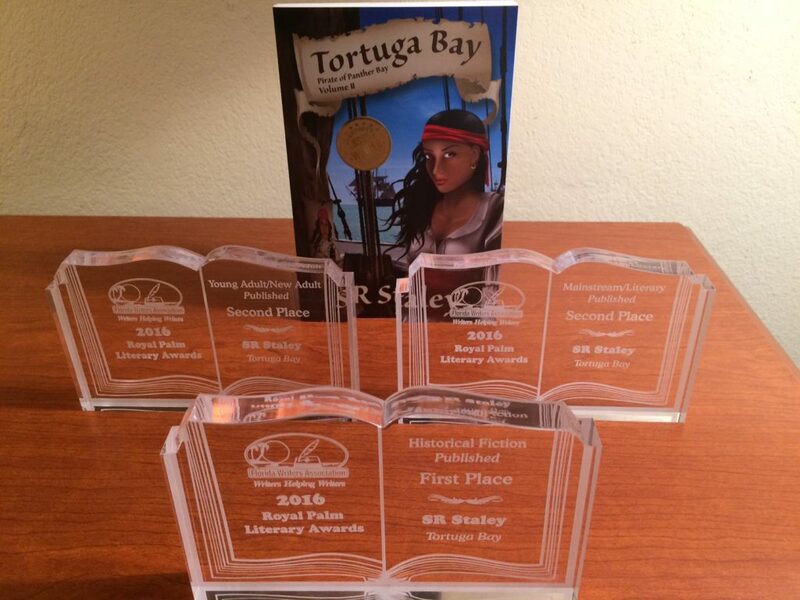 The year 2016 will be logged as one of the most successful in my writing fiction writing career, as Tortuga Bay takes how three first place wins, two second place finishes, and two additional finalist spots in literary in national and statewide literary competitions. These were not small wins, either. We started out the year with a bang, when Tortuga Bay earned a category finalist spot in the Eric Hoffer book awards, a competition that generates more than 1,200 submissions. I estimate that this put Tortuga Bay in the top 10% of submissions. 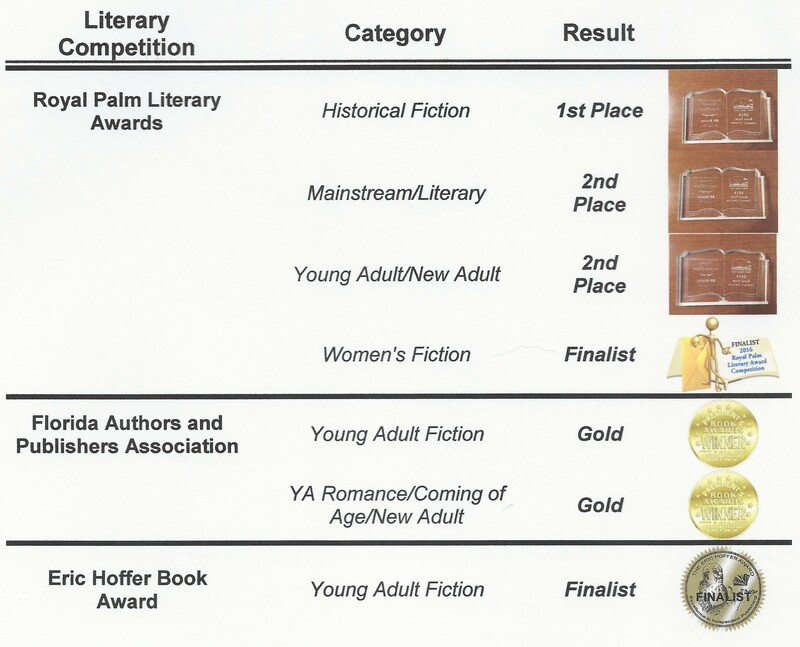 Then, in August, we found out the results of the Florida Authors and Publishers Association President’s Awards. FAPA’s competition generated nearly 400 entries from across the nation. 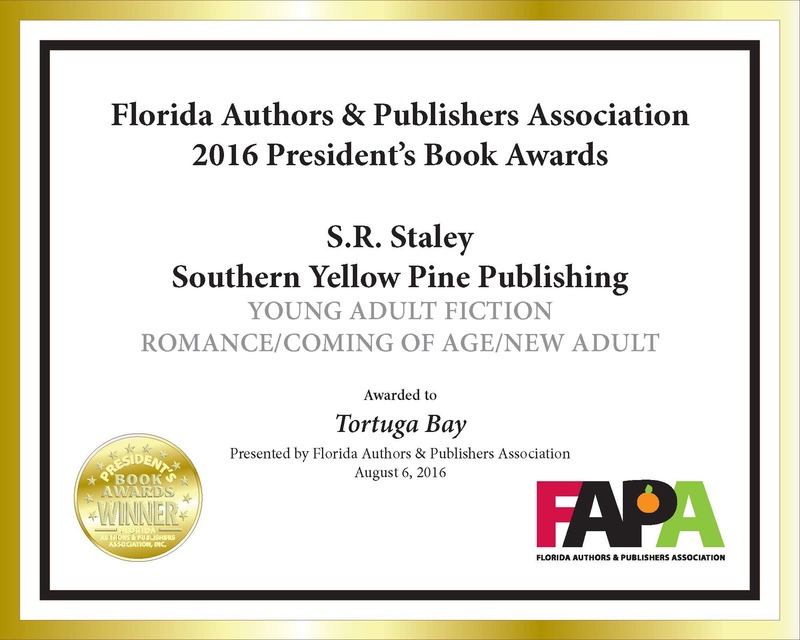 Tortuga Bay placed first in Young Adult Fiction and Young Adult Romance/Coming of Age/New Adult. And now, in October, we were in Orlando to accept several awards in the Royal Palm Literary Awards sponsored by the 1,500 strong Florida Writers Association. the first place award for Published Historical Fiction, second place award for Published Mainstream/Literary Fiction, and second place award for Published Young Adult/New Adult Fiction. This year’s competition attracted 480 submissions, mainly from Florida authors and members of the FWA. About 140 authors made it into the final rounds based on a rubric used for scoring each submission and tallying up their points. 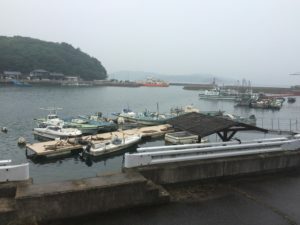 Isabella’s story has proven to be a robust one that attracts readers from across genres—young adult, adult, new adult, women’s fiction, mainstream, action/adventure, among others. Buy Tortuga Bay (or The Pirate of Panther Bay) from SYP Publishing, amazon.com (Kindle or print), bn.com (Nook or print), walmart.com, or other on-line retailers. This entry was posted in Awards, Awards, Books, Marketing, Teen & YA fiction, Tortuga Bay and tagged Eric Hoffer Book Awards, FAPA, Florida Authors and Publishers Association, florida writers association, RPLA, SR Staley, Tortuga Bay, young adult fiction on November 5, 2016 by SR Staley. Tortuga Bay continues to generate enthusiasm and accolades as 2016 moves into its final months. Earlier, Isabella and her crew fought their way to recognition as a Category Finalist in the Eric Hoffer Book Awards. 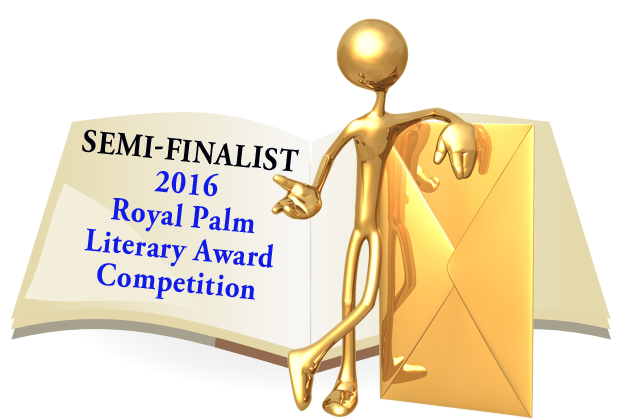 Tortuga Bay has also made it into the final rounds of the Royal Palm Literary Awards (final results will be released in October). Now, her crew earned gold medals in two categories of the President’s Award competition hosted by the Florida Authors and Publishers Association. Both awards came in Young Adult (YA) categories. This first category was Young Adult Fiction, a broad category that would have her compete among many other books and subgenres. The second category was in YA Romance, Coming of Age, and New Adult. 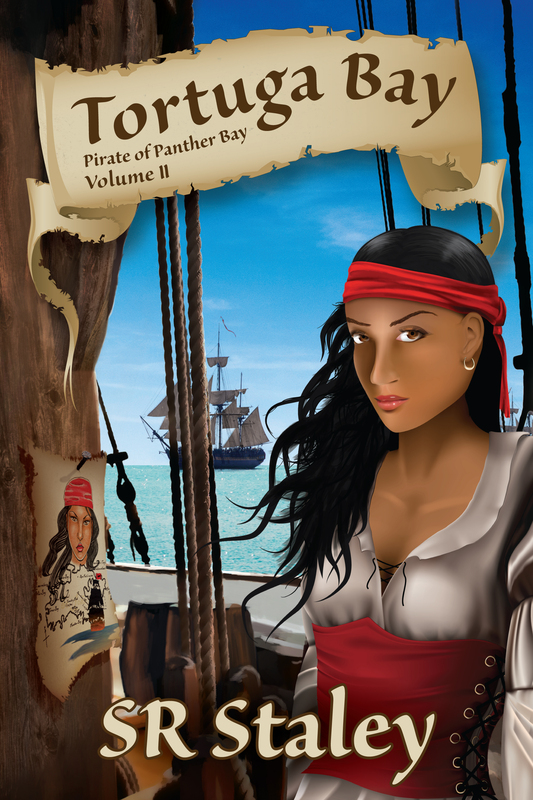 Tortuga Bay (and the Pirate of Panther Bay series) are showing a broad appeal. While all the results are not in, the story has made it into the RPLA finals under Published Fiction—Mainstream/Literary. 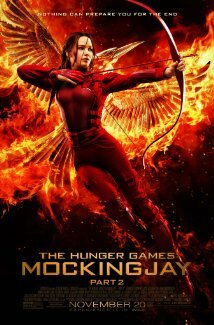 That means the novel is competing against a wide range of novels, in and outside the young adult category. In addition, Tortuga Bay made it into the RPLA semi-finals in the categories of YA historical fiction, women’s fiction, and YA romance. FAPA’s awards have a lot of integrity. Unlike some other competitions, FAPA does not feel obligated to hand out awards to books based on the number of submissions in a category. Each book is judged and evaluated numerically based on a rubric. In order to become a finalist, the book has to meet a minimum numerical threshold from the judges. Specific thresholds are also necessary to qualify as bronze, silver or gold. Some categories, in fact, didn’t have any medalists. Other categories didn’t have any gold medals awarded, and others didn’t have bronze or silver medal awards. So, winners have confidence that their award was based on an absolute measure of quality (although scores are still subjective) that are compared equally across other submissions. Thus, we are particularly proud to have earned these gold medals. To buy Tortuga Bay, check out amazon.com or SYP Publishing. 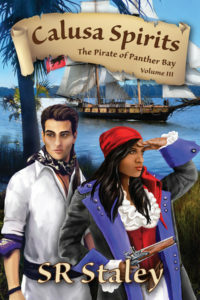 This entry was posted in Awards, Awards, Pirate of Panther Bay, Teen & YA fiction, Tortuga Bay and tagged book awards, coming of age, FAPA, Florida Authors and Publishers Association, Isabella, new adult, pirate of panther bay, pirates, romance, Tortuga Bay, young adult, young adult fiction on August 10, 2016 by SR Staley. 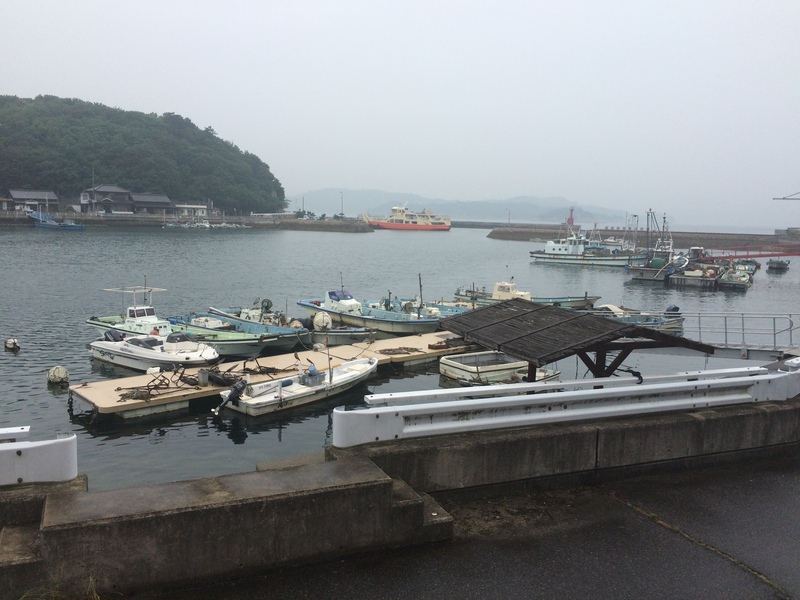 Totuga Bay makes final round of FAPA President’s Awards! 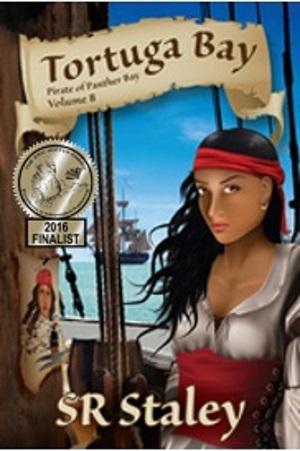 Fresh off her success in the Eric Hoffer Book Awards, where Tortuga Bay was a category Finalist, Isabella is sailing her ship into the final round of another award: The President’s Awards offered up by the Florida Authors and Publishers Association, or FAPA. 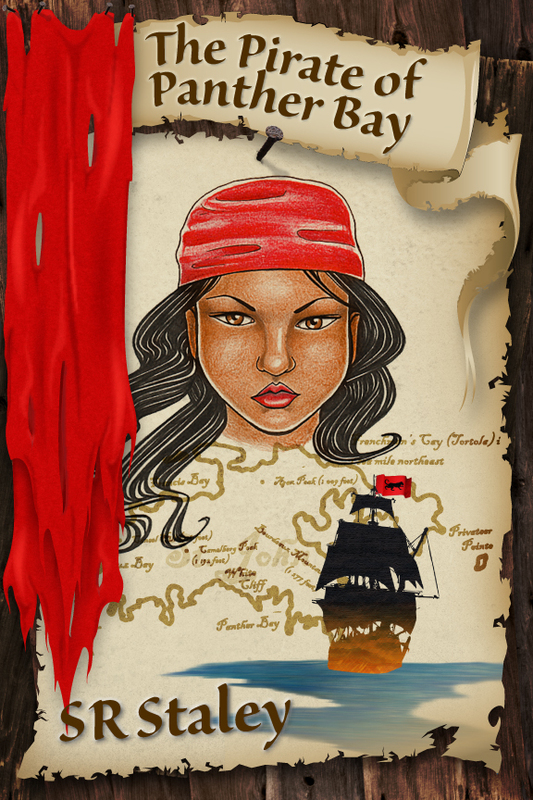 This rollicking action adventure through the Caribbean into the Straights of Jaimaica and Port-au-Prince, Haiti qualified in Young Adult Fiction. 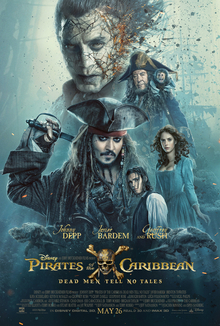 This means Tortuga Bay will earn either a Gold, Silver or Bronze medal. We won’t know which one until the FAPA annual conference and awards ceremony on August 6, 2016 in Orlando. Tortuga Bay and the Pirate of Panther Bay series is showing amazing crossover appear. Isabella and her crew are making their way through the Royal Palm Literary Awards, jumping into the semi-final round in two categories: Mainstream/Literary and Women’s fiction. We won’t know if she made it into the final rounds for a few more weeks. Last year, St. Nic, Inc. won 2nd place in the the category of published Mainstream/Literary fiction. The final awards for the RPLA are announced at the Florida Writers Association annual conference in Orlando, Florida from October 20-23, 2016. Tortuga Bay is available in print and digital editions on amazon, bn.com and other on-line retailers as well as through Southern Yellow Pine Publishing. 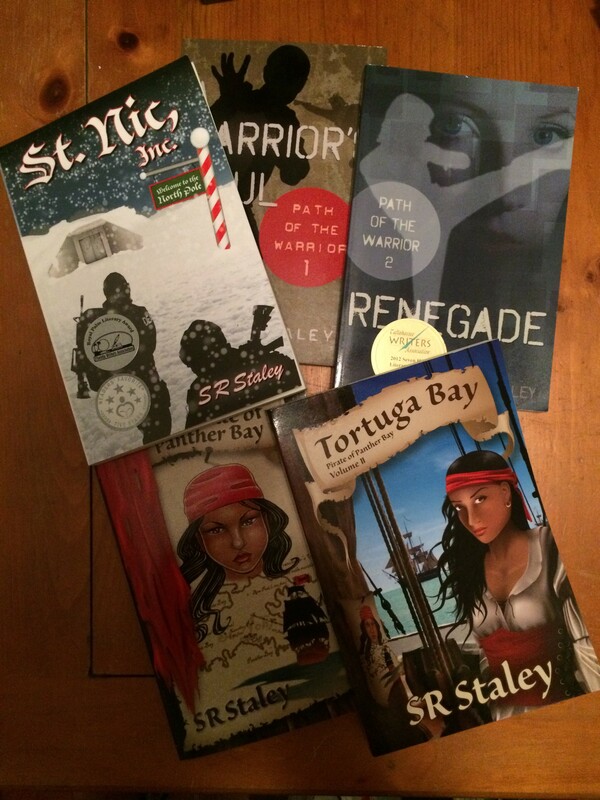 This entry was posted in Awards, Awards, Pirate of Panther Bay, Teen & YA fiction, Tortuga Bay and tagged FAPA, Florida Authors and Publishers Association, florida writers association, Isabella, pirate of panther bay, RPLA, Tortuga Bay on June 26, 2016 by SR Staley.